Mount Shasta and Upper Panther Meadow. With the temperatures climbing to nearly summer-like temperatures, it is priming the anticipation for the trails opening up in the high country on and around Mount Shasta. While some trails are already accessible and the warm temperatures mean that others are just a few weeks away, we still have two months to wait for access to some of the best trails on the mountain. July 1st is typically the date that the gates are opened and the road to the Old Ski Bowl can be driven. This marks the peak of hiking season on Mount Shasta. Even though the road up to its terminus is snow free before July 1st in most years, the gates remain closed to prevent all but the most motivated hikers (who hike up the road from Bunny Flat) from visiting Panther Meadows before the area has dried out sufficiently enough to avoid serious damage to the fragile ecosystem. Four hikes are accessible from the Old Ski Bowl, all of which are classic Mount Shasta adventures. The easiest is the path through Panther Meadow, which is one of the iconic trails in the area. Other hikes include the path to the summit of Gray Butte and the Old Ski Bowl Trail. The best of these, though, is the trail to South Gate Meadow, which can be done as a loop and includes the trail through Panther Meadow. 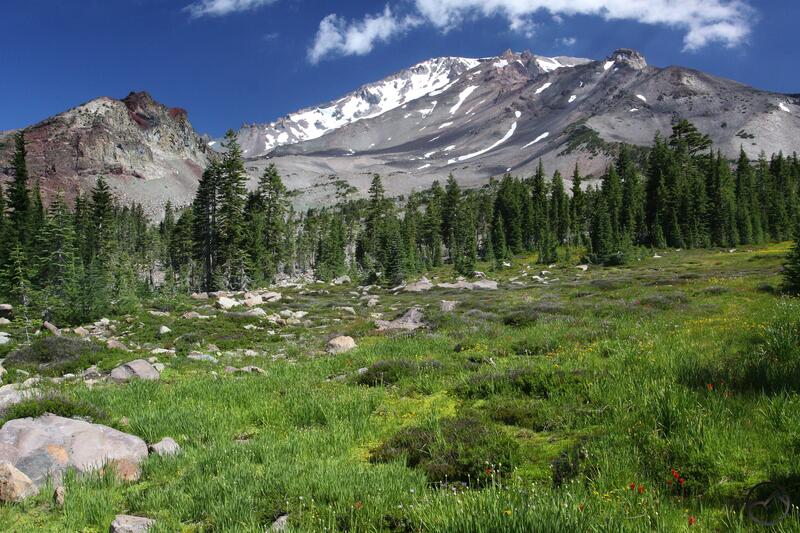 This hike combines many of Mount Shasta’s best features, including barren volcanic landscapes, wildflowers, soaring cliffs, incredible views of Mount Shasta and the surrounding mountains, meadows, clear streams and cascades and the opportunity for a great deal of spectacular exploration. The Old Ski Bowl also offers a cross-country hike can also be made over Green Butte into Avalanche Gulch. As the days get warmer, the anticipation for hiking the high country grows. 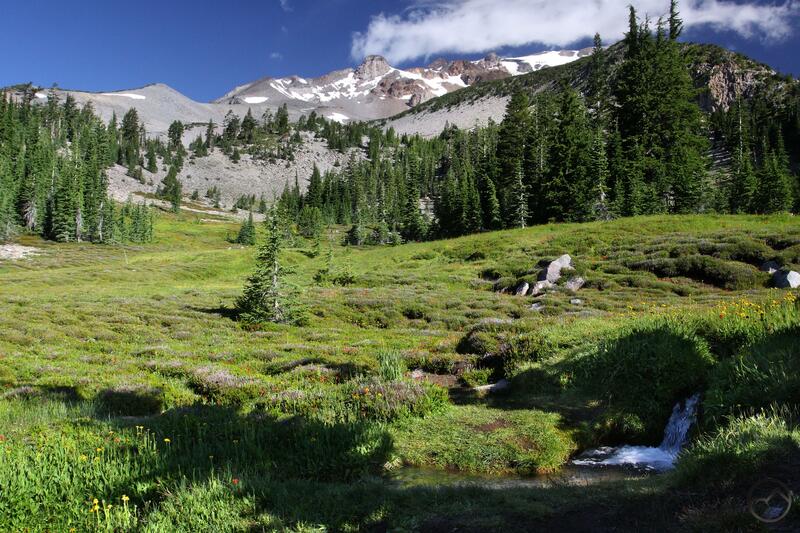 Though it can be frustrating having to wait for some of the best trails to be available, the Mount Shasta area still has plenty of fantastic hikes that are open right now. 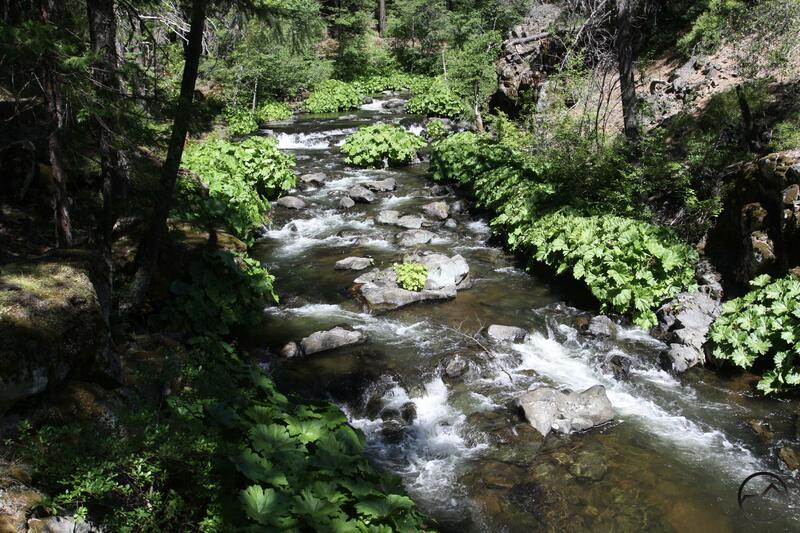 Hikers should head for the creeks and rivers and enjoy them while they are swollen with snowmelt. The McCloud River Falls Trail is the obvious highlight, but there are many other great trails that offer excellent scenery and solitude, including the Squaw Valley Creek Trail and the lower section of the Sisson-Callahan Trail (this trail sees little traffic in summer but the ford necessary to hike this trail this time of year ensures solitude). Of course, the hiking right now is not limited to the rivers. Higher trails like the climb to the summit of Black Butte are open now. We are fortunate that so many opportunities are available. I hope everyone has a great spring and a fantastic summer to come! Beautiful pictures. What a lovely place to hike. You are so lucky. It is nice to be so close to a mountain like that. I attended gradschool in Texas for four years and explored the area and its parks pretty extensively. The Wichita Mountains up in Oklahoma remain one of my favorite places on earth. The Caprock is pretty awesome too. As much as I love the mountains up here, I do miss those little corners of awesomeness scattered around Texas and Oklahoma! Can’t wait to hike Mt Shasta for the first time ever! We have had a good winter, so the mountain should be great this summer. If you stop in Tahoe, be sure to head out to Reno and then drive up 395 when you come up this way. It is a little faster than I-5 and 100% more scenic! Awesome that’s great to hear!Thanks for the advice! The 395 is one of my favorite highways!